Parasites can affect many aspects of host functioning including behavior, morphology, growth, fecundity and survival. 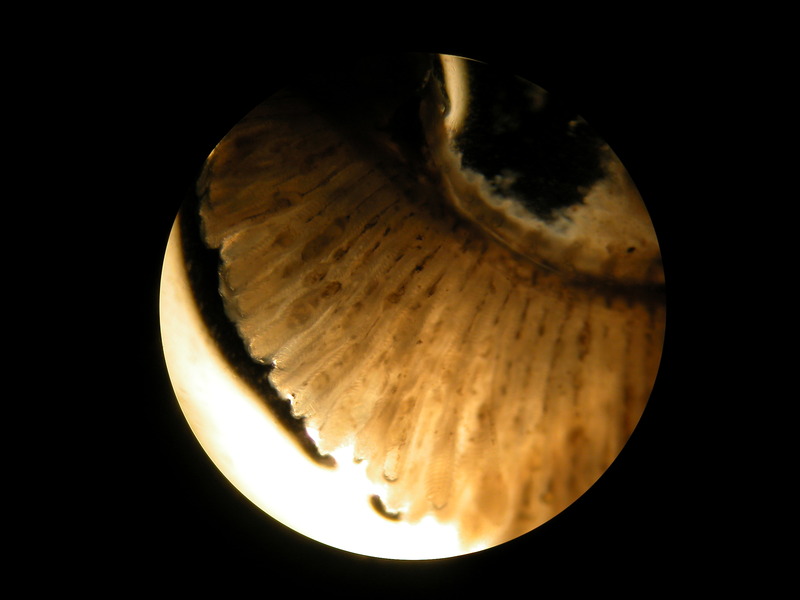 Little research has been done to examine potential behavioral or physiological effects of high endoparasite loads in the gills of fish. Mummichogs (Fundulus heteroclitus) examined from Mill Creek (MC) and Skeetkill Marsh (SK) in the Hackensack Meadowlands, have gills that are highly infected (1000’s) by larval digenean trematode cysts (Ascocotyle sp.) compared to fish from a tidal marsh in Richard W. DeKorte Park (10-100’s). We hypothesize that severe gill parasite infections can impair host respiration, and hosts may try to compensate for decreases in oxygen extraction by modifying their behavior (surface breathing, reduced activity) and/or physiology (increase gill surface area, increase hemoglobin). To quantify potential respiratory related behavioral and physiological changes, vertical positioning in the water column, general activity, respiration rate, stamina and gill morphology were examined in highly infected fish and fish from DeKorte Park. Preliminary results indicate highly significant differences in respiration rates, time spent in surface waters, number of conspicuous behaviors and number of gill branches between highly infected fish and less parasitized conspecifics. Highly infected fish spent most of the time near the surface of the water and had more conspicuous behaviors that could attract bird predators (the final host for these parasites). General activity and stamina were not significantly different among the populations. 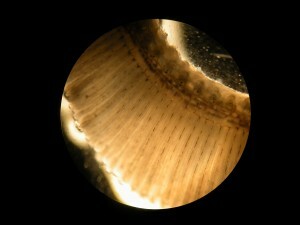 Gills of the highly parasitized fish had additional branches; this anatomical modification may be an attempt to create more gill surface area when much of it is saturated with parasites. The two sites that the highly parasitized fish come from are both restored sites, while the other population is from an unrestored site. It is possible that restoration creates an environment that is more suitable for the parasites. The restoration grading process most likely increases potential habitat for both snails (first intermediate host) and wading birds (final host). A more focused experimental effort on the fish from additional restored and unrestored sites within the Hackensack Meadowlands District will be undertaken to investigate gill parasites’ relation to host physiology and behavior and to determine if the process of restoration is influencing either parasite or snail (previous host) abundance.